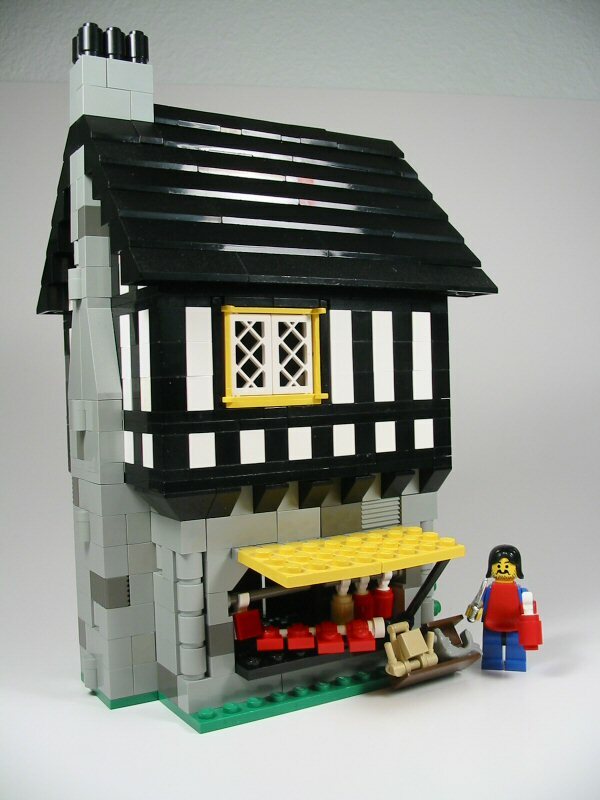 Many times I've been asked to write an article about Tudor Style LEGO Buildings. I intend to write a basic Tudor Techniques eventually, but I've recently discovered a few advanced techniques that are more exciting to me. 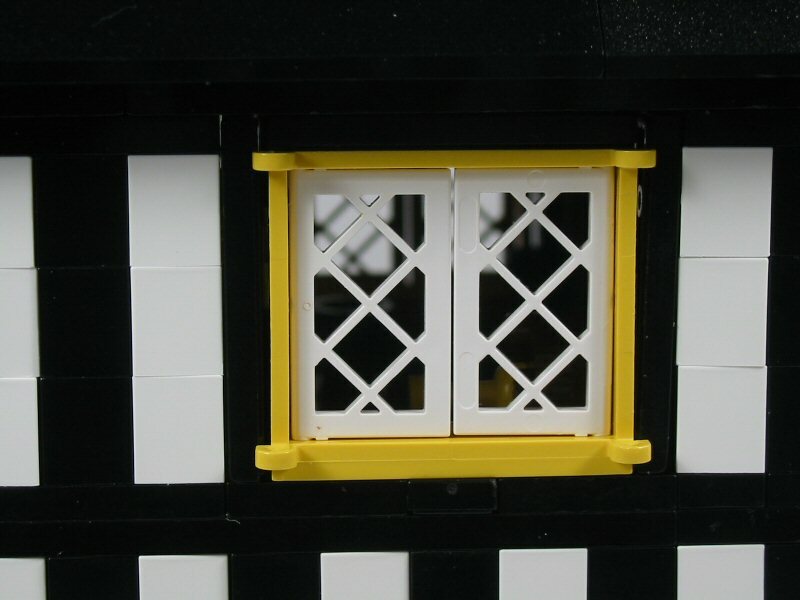 The first is James Brink's 5-wide window, and the second is appling Didier Enjary's "LEGO Trains - Decorative Color Schemes" to Medieval themed buildings. I felt the best way to express these ideas was through instructions. For each concept, I worked with a 10 wide or 11 wide stretch of Tudor facade, which I completed with a basic roof. Both concepts use 'floating' tiles, that is, tiles that do not connect to studs. They are placed between tiles or bricks, and require a bit of trickery to make them stable. I leave the development of that trickery to you to figure out, as it best relates to your particular MOC. James Brink debuted the Five Wide Window on his Butcher's Shop MOC. It looks best with a close Tudor style, using 1x1 white bricks. However, there is no way to do this without using an odd width (I used 11). The biggest problem with odd widths is building the roof on top of them. The easiest and best solution is the one I used in the instructions: start the roof one brick height lower on one side. Another easy option is to use, on one side only, a 33° (3 wide) slope rather than a 45° slope (2 wide). Didier Enjary's Decorative Color Scheme, as applied to Castle. Didier Enjary recently wrote an article for ILTCO about decorative schemes for use in building trains. One of Didier's techniques immeadiately struck a chord with me. I saw a use for making Tudor style crossbeams. Regularly crossbeams are difficult to do, with attempts to do it with SNOT plates, or tiles on the exterior of the building. Didier's concept uses the space between slopes to place a floating tile. With 1x2x3 75° slopes, matching regular with inverse, and a half stud offset, a 1x4 tile fits perfectly.